Stage 4: Make selections and paint inside. Create a new layer. 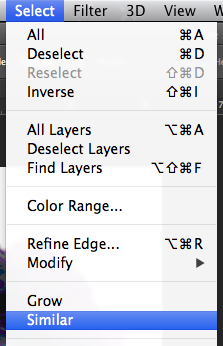 Click on the square icon next to the trash can at the bottom of your Layers Panel to make a new layer. 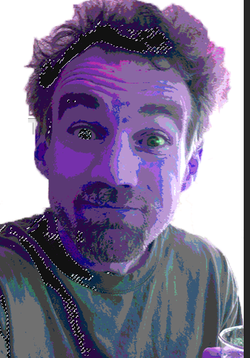 You will paint each new color on a new layer. Title your layers with names that make sense to you. 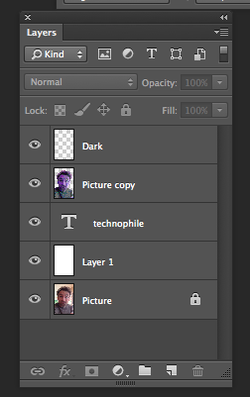 Place new layers above your Picture Layer. Drag your new layers to the top if they are under your older layers. This will make sure your paint brush work will show up above the layers below it. Select your Picture Layer. Use the rectangular marquee tool to make a small selection of the color you wish to capture. Select all the colors that are the same. Choose Select->Similar to select all colors in your image that are the same. Once you have this selection made you want to click on the new layer you just created. Choose one of your paint brushes that you made and choose a color that you would like to use. Paint with your custom brush inside of the selected areas. Change the brush you use to paint with frequently. Change the size of your brush by clicking [ or ] (located next to the P on your keyboard. Change the color of your paint. Adjust the opacity of your paint at the top of your screen. Click here to move to STAGE 5.